Back to school month means punctuality! Olivia Burton is definitely my brand of choice when it comes to watches and as you might be able to tell from many of my fashion accessories posts, black and gold is my favourite colour combination and works with any outfit, be it a daytime or an evening look. Continuing with the black and gold theme, my next autumn accessory essential is a cross body bag. I picked this one up last week as I think that it will be really useful in the months ahead. These bags are great for travelling and even if I'm taking a bigger bag away with me, I always have a cross body bag where I keep my essentials and valuables. Carvela is a great brand for these types of bags as they always look really stylish, don't wear and you can fit loads into them! Boots are definitely my favourite footwear choice but I switch them up depending on the time of year. Tan boots are a must have for autumn and I think that they look really nice with some skinny jeans and a slouchy jumper or a floral dress and chunky cardigan. I picked these up from New Look last year and will be wearing them again this season. I have two drawers full of scarves and pretty much take one everywhere I go (you can never be too sure in England!). For autumn time, I think that a check pattern looks really good with a simple black jumper and jeans. The scarf above is from Accessorize, I think that they do beautiful designs and are great quality too. It's not completely got to knitted hat weather yet thank goodness! A felt hat is a really good item to throw on if you're having a bad hair day as well as adding another dimension to your outfit. ASOS does some great styles at affordable prices so I'll definitely be looking there for some hat inspiration this year. For transitional seasons, it's nice to take a staple item and mix it up a bit. Statement tights are not only a focal point of an outfit but also a way to change your every day look. I've styled these Jonathan Aston tights underneath my white ripped jeans for just a flash of pattern. Plus, an extra layer never did any harm! What's your staple autumn accessory? So many cool accessories ! Happy Fall! I really love the shoes and the hat. Perfect accessories for autumn! Thanks for sharing! Oooh I love the cross body bag and a big checked scarf is such a staple for autumn! A big yes to boots and scarves! 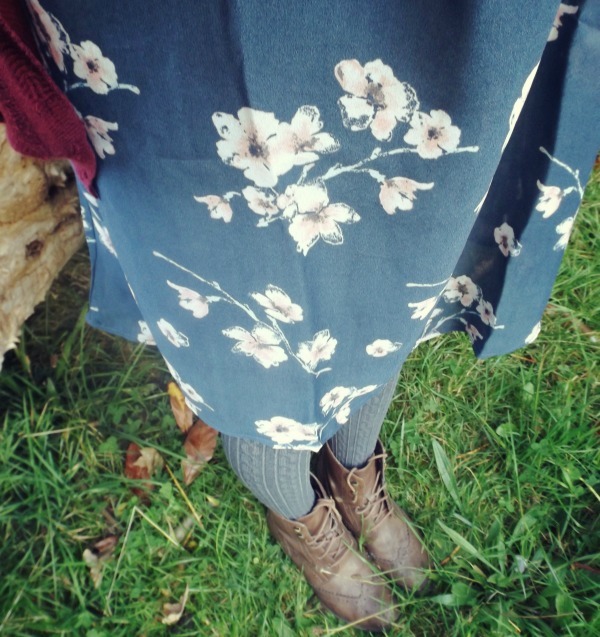 I love wearing my ankle boots and scarves again when the weather cools. Although it's spring here and I'm excited to be shedding all those layers now, haha! Love all of these too especially looking forward to wearing the checked scarf, Have a great start to your week. I am so ready to start wearing booties in this season! Such lovely accessories. Great choice dear. Love all those accessories Rosanna! Perfect selection of fall accessories! I love cross body bags. It's so easy and simple to carry. Beautiful picks. I love the boots the most. Great post. I love the boots. Such pretty pieces, Autumn is a lovely season but I understand when you are sad that summer is over! I love the print of your dress Rosanna! Cool boots too! Great autumn accessories list.I usually do not even think about wearing statement tights or buying any but this season they have so many pretty ones that I may give it a try. I love this list - the felt hat and the tan boots are definitely my favourites (although to be honest I'd buy everything listed!)! These are all Autumn perfect accessories and I love them. These are all pretty much what I use as well plus good sweaters. Ha!! its lovely collection you have nice post..
Ooh, you can never have too many check scarves and felt hats for Autumn, agreed! I love your new watch by the way, such a pretty design. Si hay complementos ideales para el otoño son los que has nombrado tu. Me encantan los pañuelos-manta y los sombreros. I love wearing boots for fall and I always pair them with scarves!